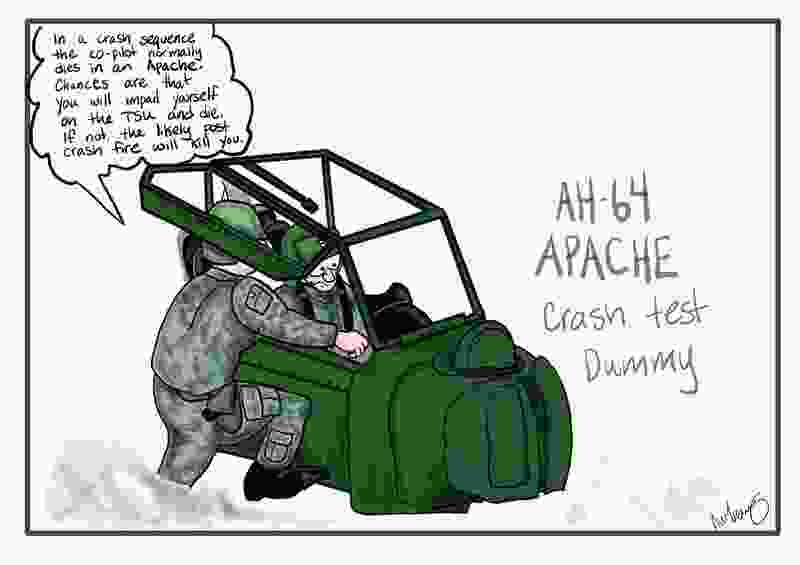 It is common knowledge that the Apache helicopter is a “flying tank” that can take the hits and give hits back with its 30mm, 38 rockets or 8 Hellfire missiles. But what often goes unknown is that the front seater (gunner) often dies during a crash and impales their head into the dashboard of devices and TSU controls. It is an incentive to become a pilot in command and fly in the backseat where it is a little more safe…other than sitting atop a fuel cell.